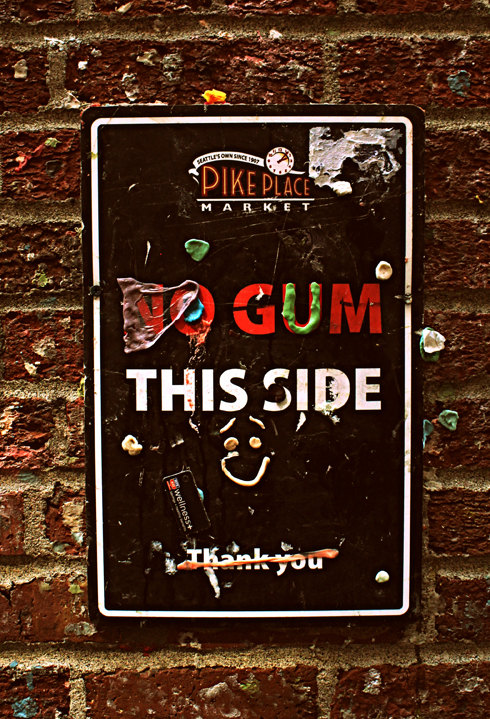 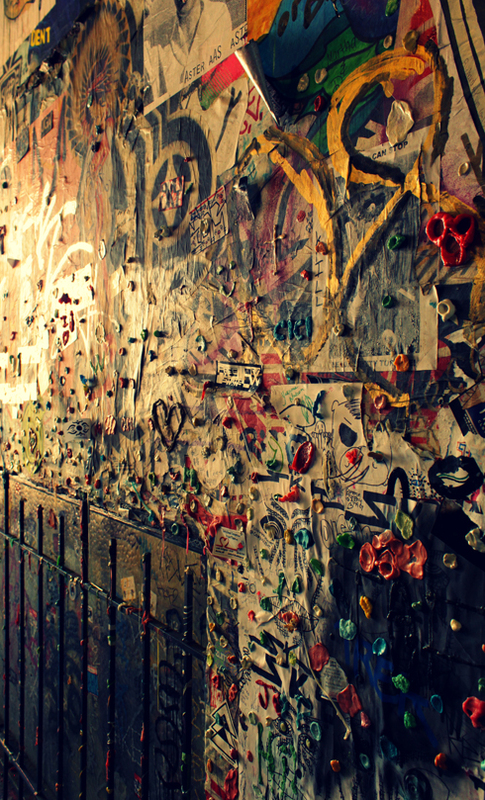 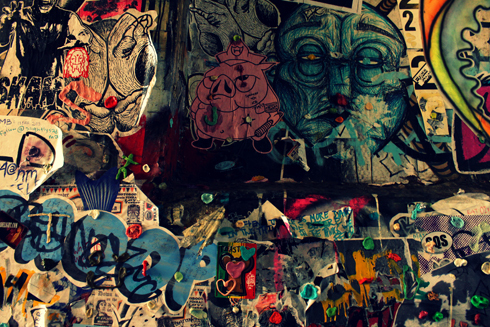 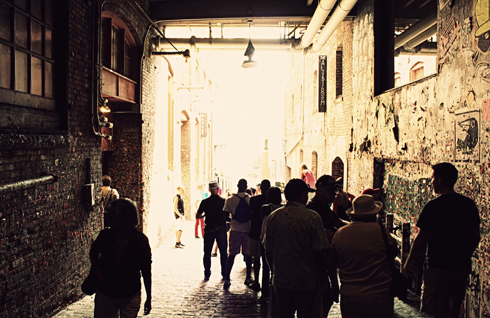 If you find yourself at Pike Place Market in Seattle you have to walk down to check out the Market Theater Gum Wall. 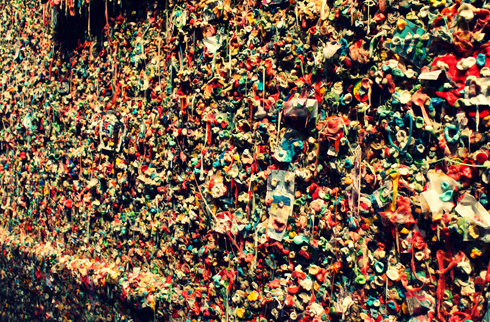 The wall began sometime around 1993, supposedly because the theater didn't allow gum inside. 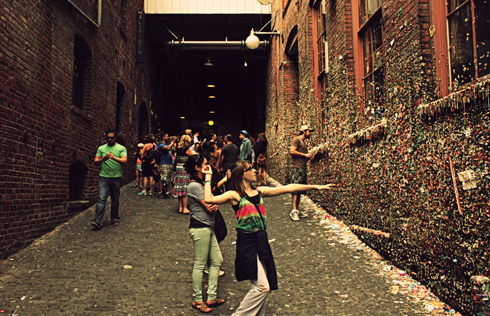 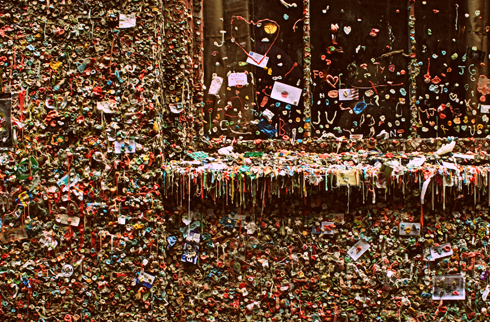 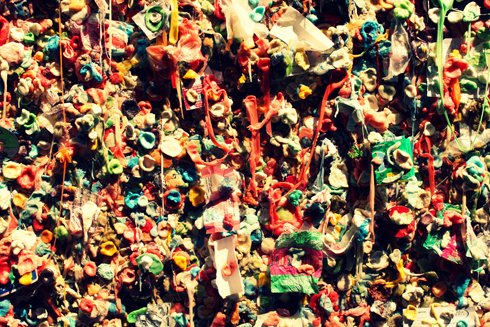 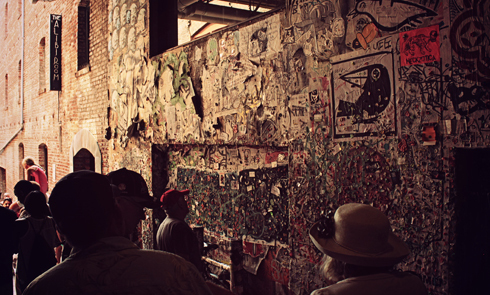 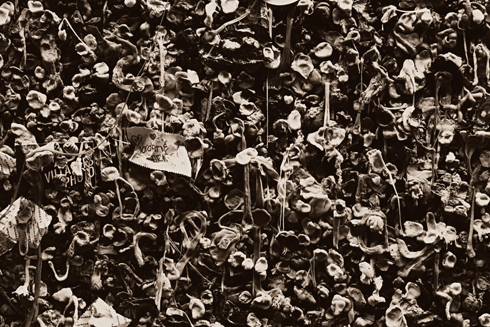 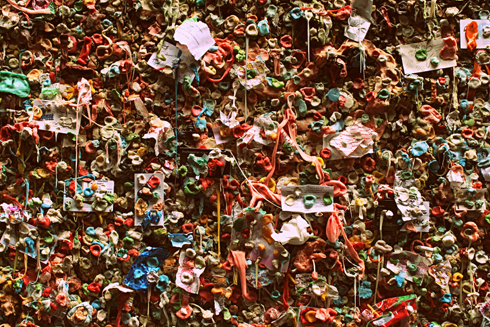 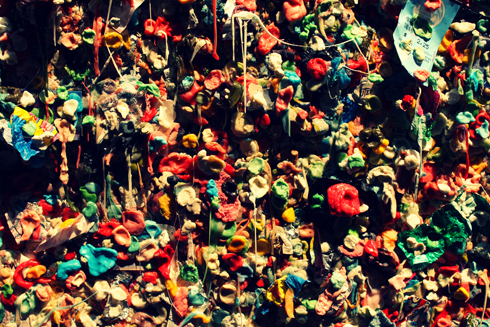 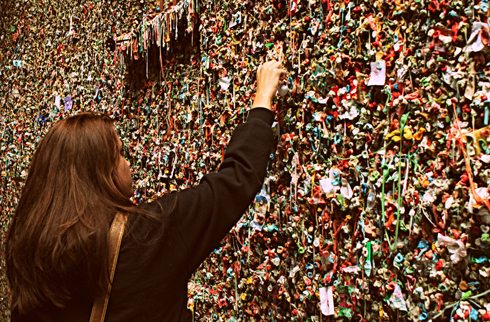 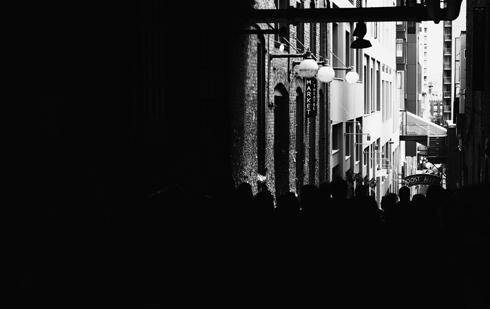 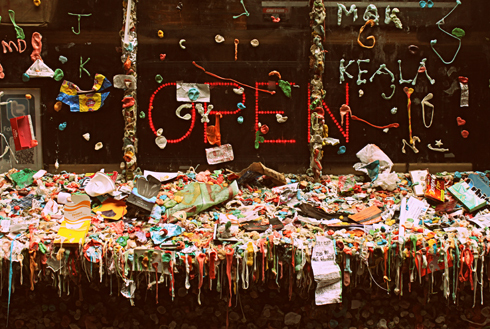 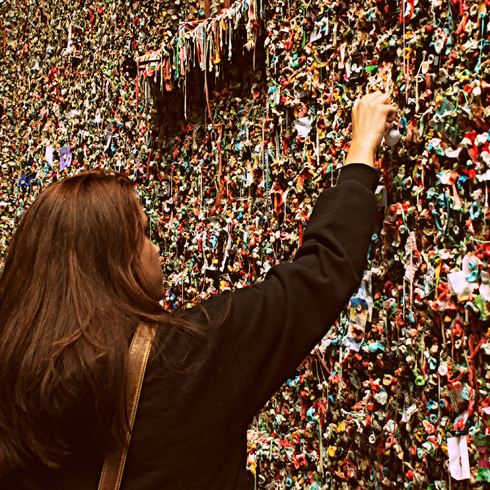 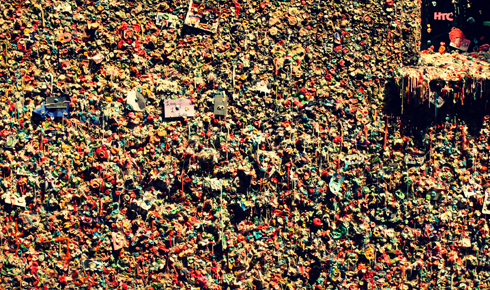 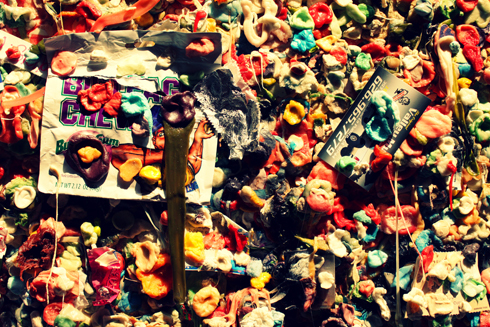 Despite initial resistance, the gum wall continued to grow and has now become a tourist attraction with plenty of people purposefully adding their gum to the display. 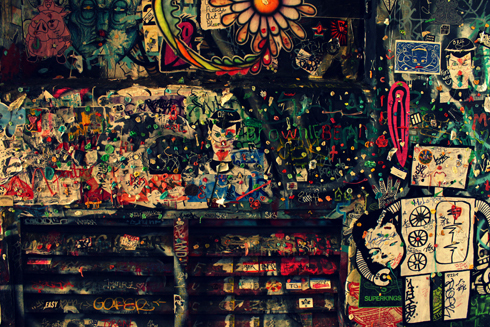 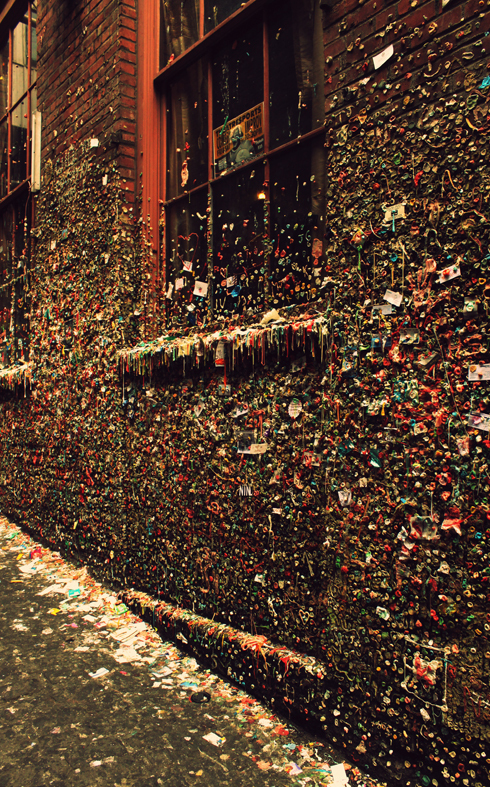 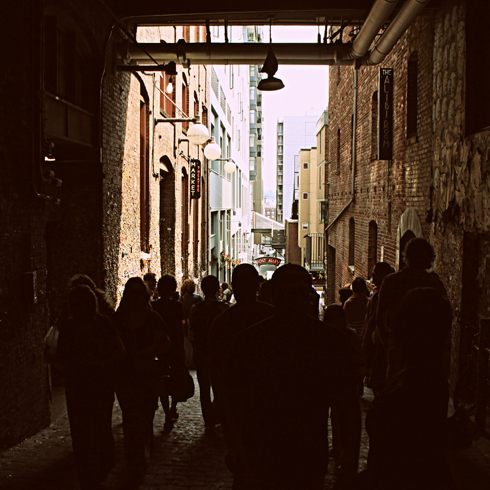 Despite being a little bit gross, the alley actually smells sugary because of all the gum. 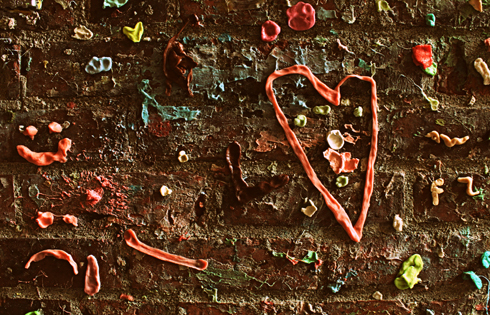 The gum wall is also strangely beautiful with all of the colours and unique messages attached - some even spelled out in gum. 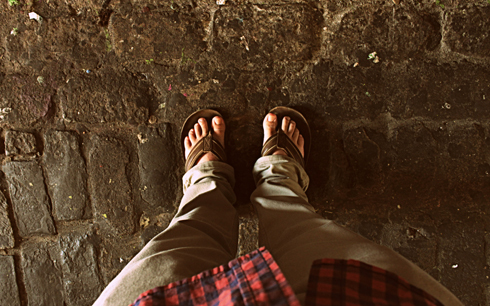 I loved it, although I did get a piece of gum on the bottom of my sandal.